The main purpose of this study is to develop a framework for understanding and analyzing digital media as an autonomous social space or structure in which to construct an identity. This chapter extends debate on the impact of developing an online identity by focusing on football supporters, a specific and prevalent community within Turkish society. The authors examine issues surrounding online identity and the impact of digital culture on football supporters through questionnaires conducted with members of fan-based web sites, football forums, and football blogs in Turkey. In the research, the authors focus on the digital identity of fans from the three major clubs of Turkey - Besiktas, Fenerbahce, and Galatasaray. The independent football fan communities of Carsi, UltrAslan, and Gencfb are also present in the digital environment in the form of the official websites of these fan communities at www.forzabesiktas.com, www.ultraslan.com, and www.gencfb.org. The three main websites also include different forums and blogs. This research examines the impact of digital media and distributed social spaces of these clubs’ supporters on contemporary understandings of their digital identity. The authors give the conceptual frameworks and approaches to understanding digital identity of football fans. 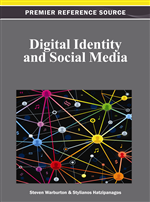 In this context, authenticity, fanaticism, reputation, belonging, and defending identity are examined to understand individual, group, community, and network based digital identities. From a theoretical perspective, the chapter also tries to understand what it means to be a part of a community using digital media. 2. The Ball Is ‘Round’ And Football Is An Industry, But What About The Sociology Of Football? Football is the most followed, practiced, and watched sport in the world. Over the last century football has grown into a cultural phenomenon commanding media, academic and government attention. The game itself has undergone huge changes over the past decades. The creation of the football leagues around the world can be explained by the commercialization of the game, the influx of television revenue, and the growth in the numbers of foreign players (Boniface, 2007; Authier, 2002). In relation to these, some problematic areas like violence, race and racism in football have been focused on with increasing interest by the media and amongst the pages of football magazines (Elias and Dunning, 1986; Marsh P., et.al, 1996). We also find issues of identity and social representation being discussed in the context of football. Why has football become such an important arena for the expression of these elements? The answers to these questions can be found in sociological literature where highly readable and accessible books and articles provide the first systematic and empirically grounded account of the role of sociology within contemporary football cultures. Moreover, even historical, anthropological, geographic, as well as sociological and theoretical studies have been executed in the area of football. A real sociology of football in this research has examined the central elements of the game as well as the cultures and behavior patterns of its fans (King, 2001: 568-585; Finn, 1994; Armstrong and Harris, 1991; Giulianotti, 1999; Giulianotti ve Robertson, 2004; 545-568; Bourdieu, 1993: 339-355; Wann, et al. 2001; Sugden and Tomlinson, 2002; Maguire, 2002).